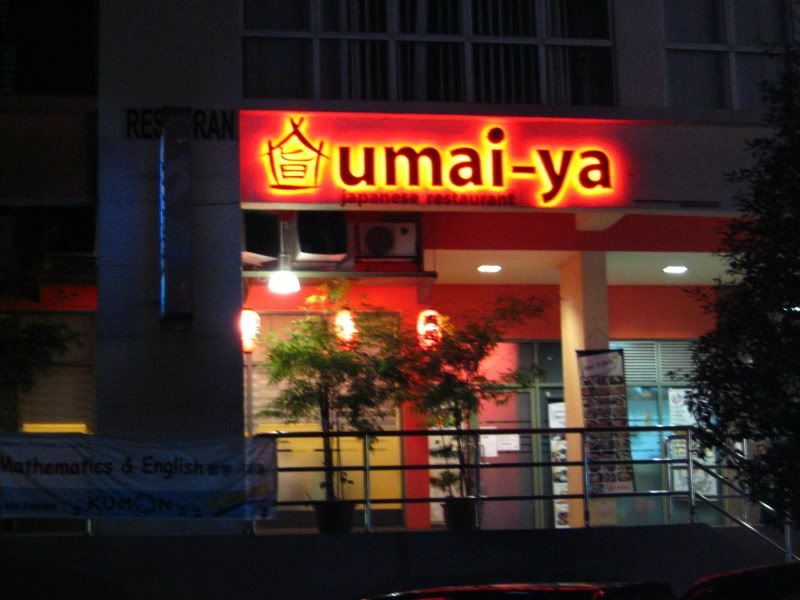 They have a new outlet in Damansara Utama @ Uptown Jalan SS21/37 (Tel: 03-7726 4410). I haven't checked it out yet but I'll update when I do. I admit it... I have been selfish.. The Idaako, marinated baby octopus, is also good.... Not overly fantastic, but at least it tastes fresh. It isn't enough to fill me up so I usually have it as a starter/ side dish but hey, if you're more concerned about calories, then it's good lah. 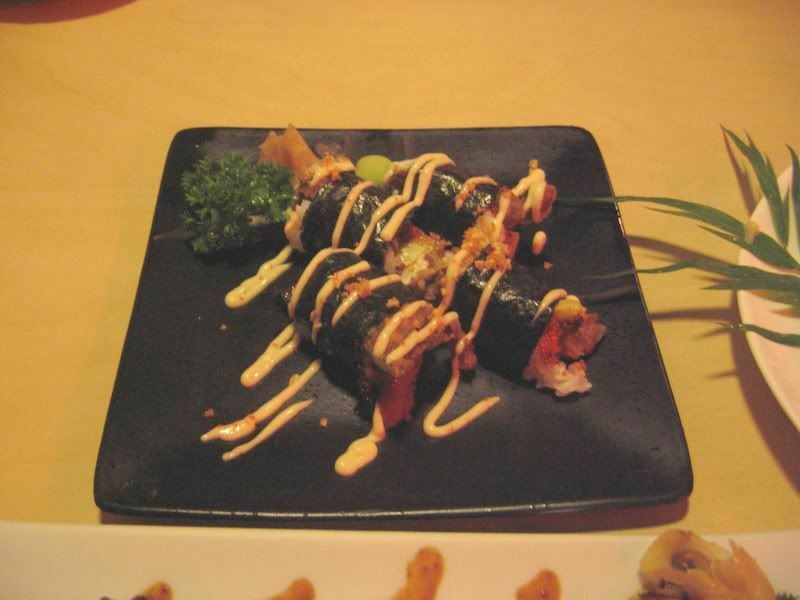 It's a maki (japanese roll) with a glorious concoction of Unagi (eel), Salmon, Tempura Prawn and Avocado all in one. To me, this is the perfect maki. PERFECT - texturally, taste-wise, everything. 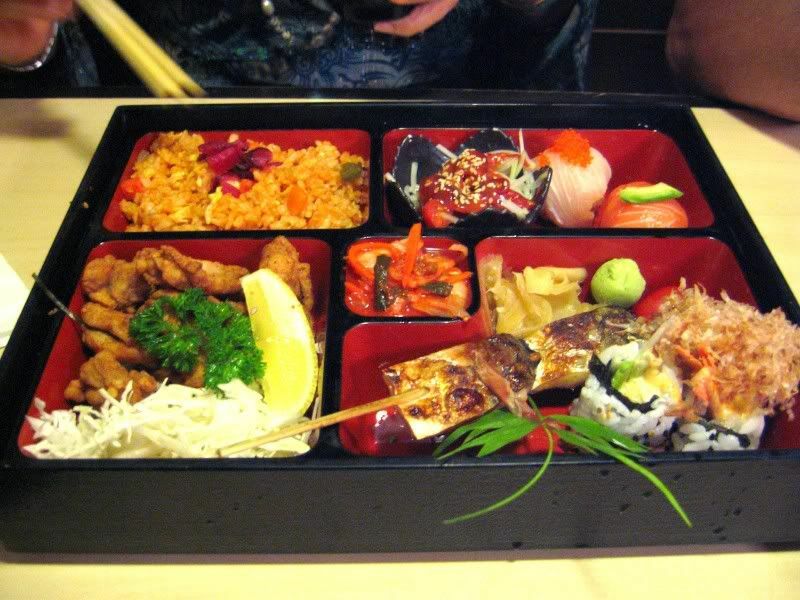 The bento is pretty heavy but it's good because it's got a bit of everything - grilled fish, maki, sashimi, fried rice, deep fried chicken as well as a side of chawan mushi and miso soup. 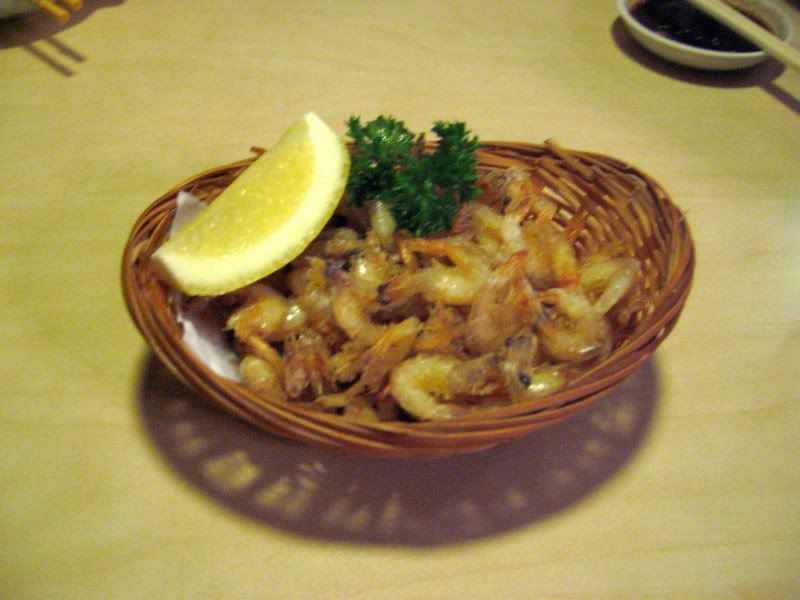 The grilled prawns are also good - fresh, fragrant and generously slathered with the savoury sauce - yum! 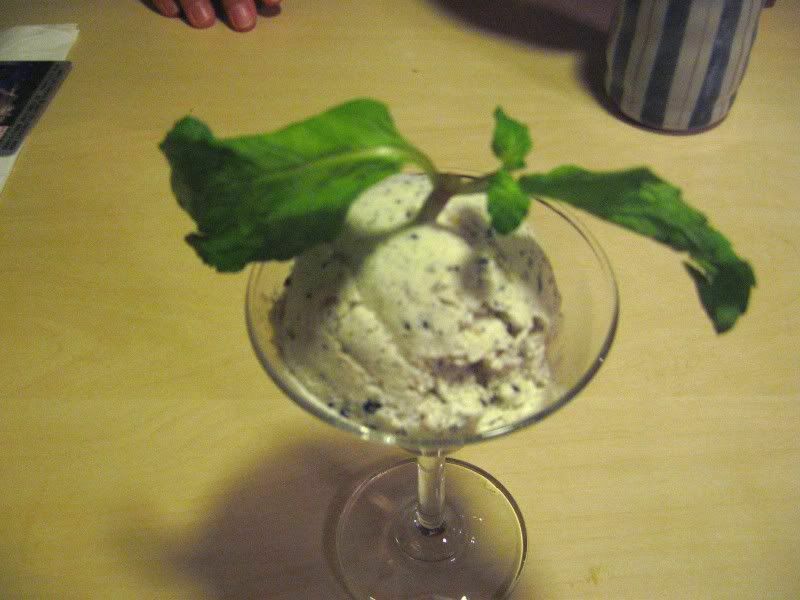 It's definately not as full flavoured as the black sesame ice cream in the top notch restaurants,... and it kinda tastes more like peanut ice cream to me but for 9 bucks, it's ok. They'll probably put u up in their website as they link blogger's reviews on their restaurant. We always want to try this place but somehow decide not to at the last min. Must make an effort one day! 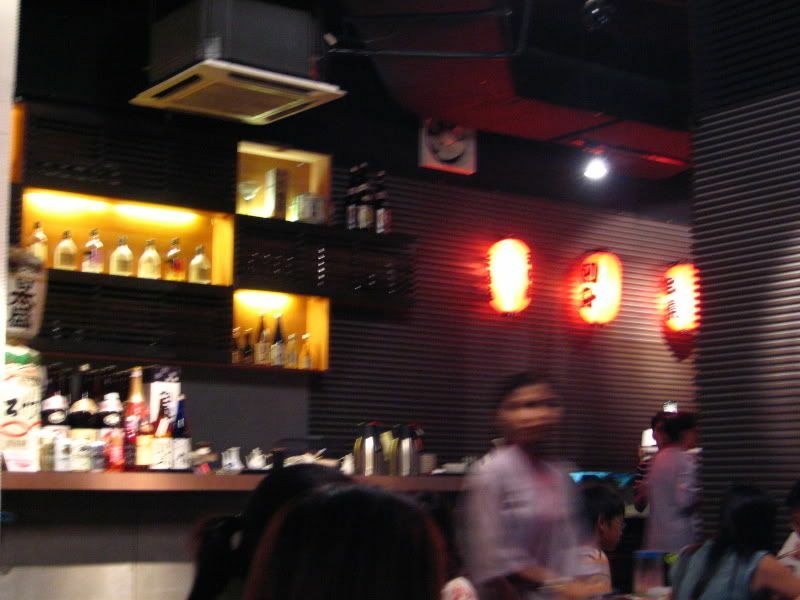 Sometimes so many Jap places to eat, one gets spoilt for choice. u have good taste in food! Really?! I went there. It's pricey, and for the price, I think there are 2 places in Hartamas which is much better. Including the one located on the 1st floor (yet it is always packed) - forgot the name. Sugimoto? 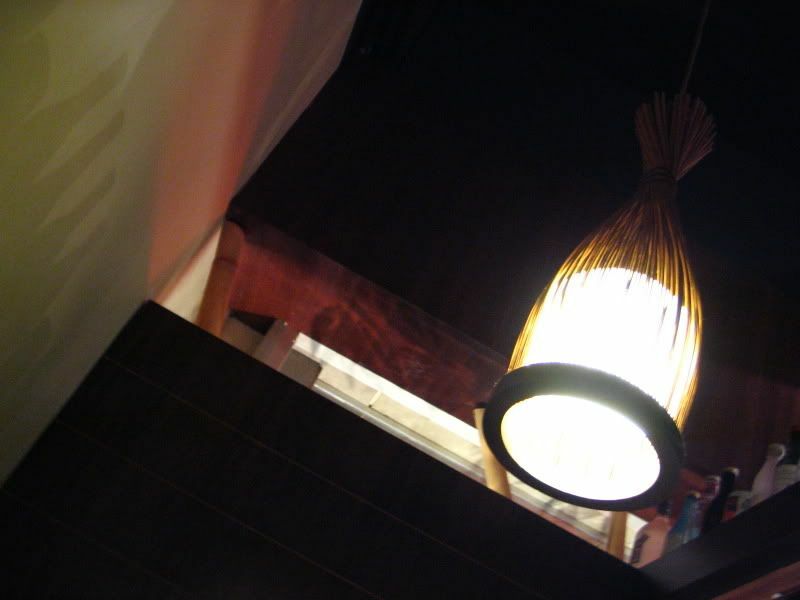 And for exclusivity, I think one of Morimoto's tatami rooms, right inside 1U, is still the cosiest! 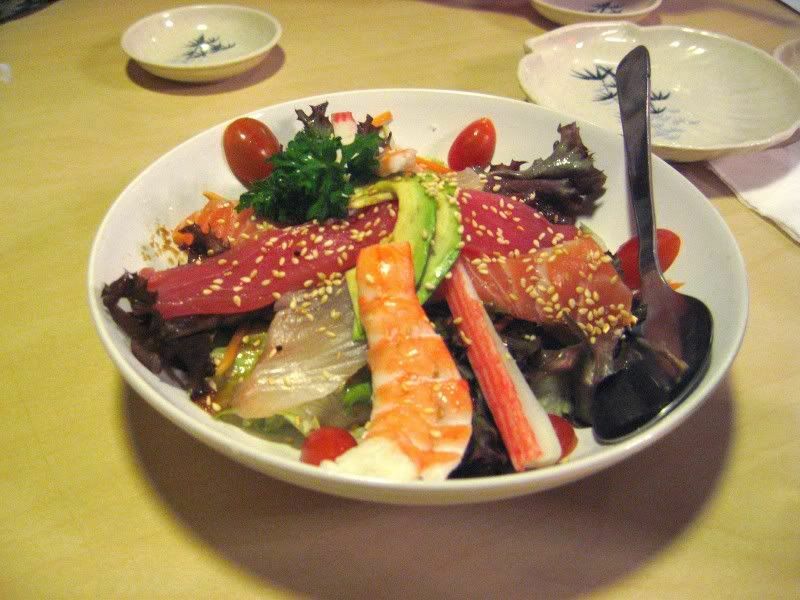 The food quality is good (sashimi is sliced good and thick), yet not many people frequent the place. But it's been there for years. Interesting point to note,in Japanese, "umai" is an adjective typically used to describe skill or taste. In food references, it means "delicious" or "yummy." good Morning! First time commenting here. 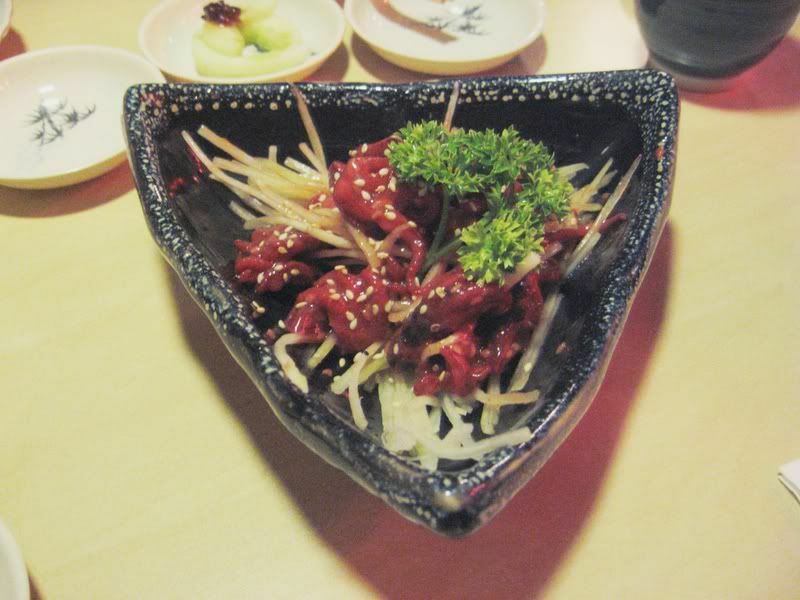 Ohmygosh...Another review of Jap food place.. hehe...so near my offis in D.P. I just gone to this Jap Buffet called Shin Nichi. loved it. Check it out when u haf time. Well,... we'll see what happens. I have tried Sugimoto's but I thought the servings were a little small. Thanks for the tip though - Morimoto sounds interesing... haven't tried it yet - will try to go there soon. 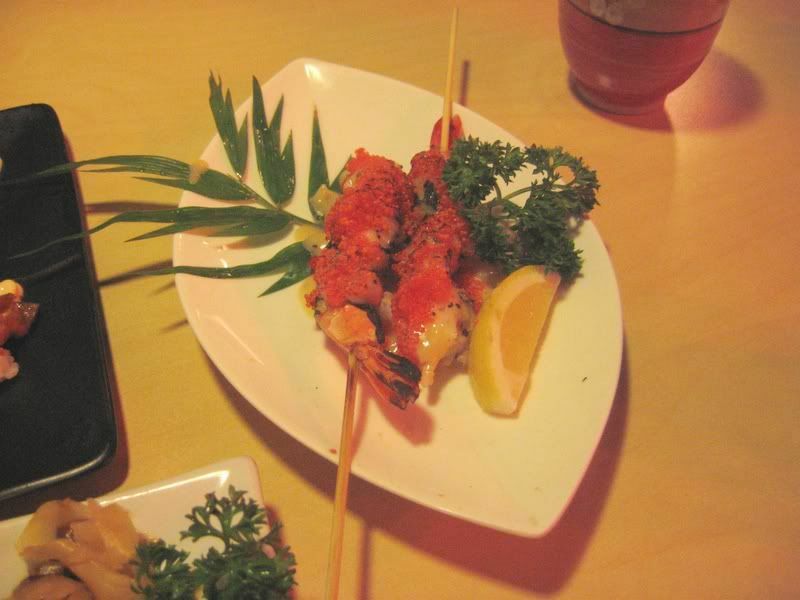 ... but the Jap food here is much more affordable though! I usually find allways japanese, and indian food stores really expensive in canada. either they are ripping us off by that, it is the "hip" food and gouging our poor wallets, or that I am a cheap son of a kitten lion trainer / chicken fighter coach. "Expensive-ness is very subjective thing"
Small portions? Really? I ordered the Chirashi (chef's selection) at Sugimoto. For RM50, I got the thickest, freshest cuts of fish I've ever had anywhere! I'm not a small guy, but I couldn't finish it all!! But maybe it goes to show, one man's meat is another man's poison when it comes to restaurants - there might be different circumstances when each person visits a restaurant: place is too busy on that day, different waiter, chef, or an ingredient out-of-stock..
Oh, is that what you meant? I got thrown off when you used the word "pricey", I guess.. Totally true.... restaurants are very experiental and vary from one person to another. For example, I don't like/ appreciate sashimi and obviously you do. So, you'd probably judge a place by its fresh fish and I would judge it by its tempura, hand rolls and other cooked stuff. Oh, thanks for dropping by again.... Maybe next time leave a name? Hi all, thanx a lot for this blog ....... This is exxactly what I was looking for.